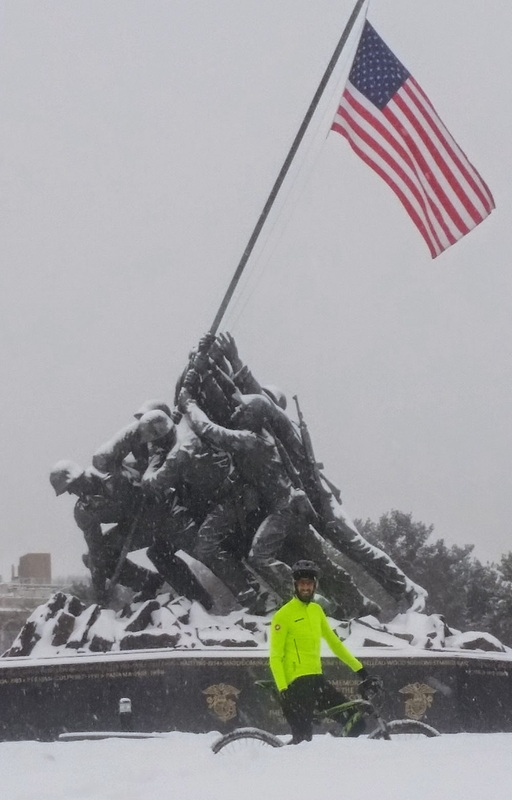 Amid last Saturday's fierce snowstorm, Aaron Wieczorek set out from Crystal City on a mountain bike. He made it to Rosslyn. Arriving in Rosslyn in difficult conditions is one of those rare triumphs of a persevering spirit. No matter the conditions, dare to struggle to get to Rosslyn. Aaron achieved that victory. You can, too.